Sometimes the smallest of difference can have the biggest effect, which is why we have produced these superb mini dumbell pop-ups. Not only do they create that all-important edge due to the unconventional shape - they also allow the angler to maintain the use of established flavours from the freezer bait range. Covering every hookbait angle when fishing one our dedicated food source baits. 10mm x 15mm 150ml tubs. 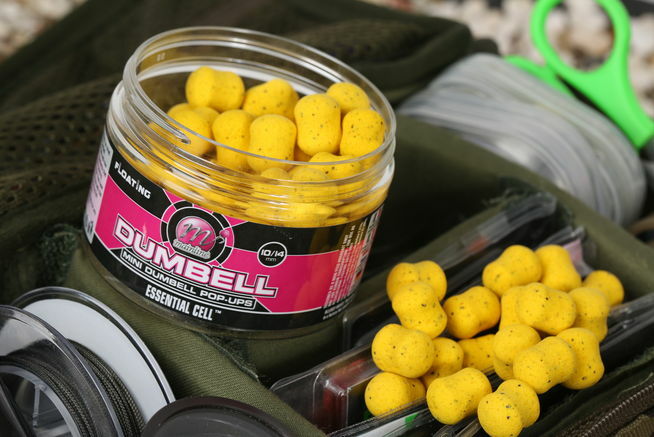 Consultants Top Tip: Counterbalanced with a split shot trapped on the Hair these mini dumbell pop-ups can be deadly when combined with PVA bag tactics utlising Response Pellets of a matching flavour.